Donovan announced the litigation from the steps of the Chittenden County Superior Court building. "They ignored the fact that opioid sales in Vermont were far outpacing legitimate need," Donovan said. "These distributors were obligated to identify and report this problem. Instead, they just kept on selling." The case is the second to stem from Vermont's participation in a multistate investigation of drug companies linked to the opioid crisis. 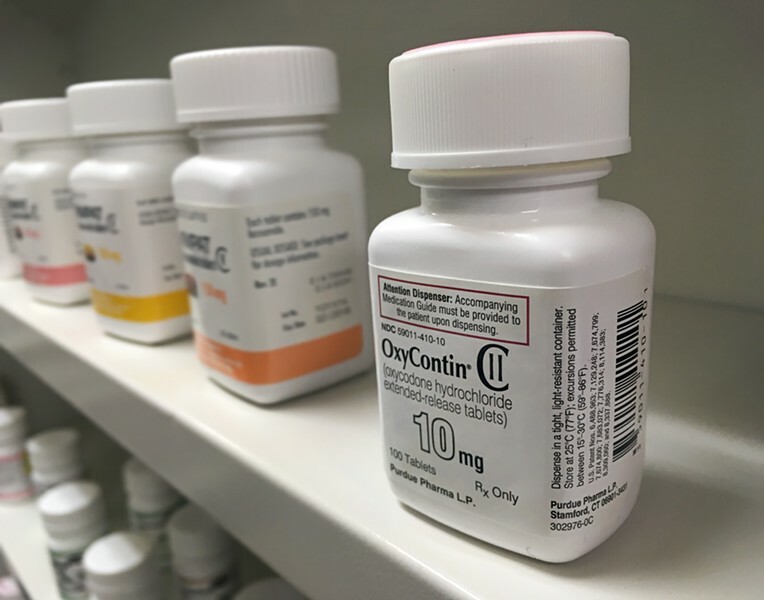 Last week, Chittenden County Judge Helen Toor allowed the state's separate case against OxyContin manufacturer Purdue Pharma to proceed. The 125-page complaint filed Tuesday outlines how the drug distributors failed to flag suspicious orders and helped pharmacies skirt safeguards against overprescribing, even after they faced scrutiny from federal regulators. "Through their willingness to uncritically supply whatever quantities of opioids pharmacies ordered, [Cardinal Health and McKesson] normalized overprescribing and caused widespread proliferation and availability of these dangerous drugs throughout Vermont communities," the state wrote. The complaint alleges that the distributors' practices were negligent, created a "public nuisance" and violated Vermont's consumer protection law. Neither company responded to a request for comment late Tuesday. The allegations are supported using federal data and other sources that illustrate how the opiate prescription supply chain operated in Vermont. But most of the Vermont-specific information is redacted in the complaint, in accordance with a protective agreement the state signed to obtain it, an AG spokesperson said. For example, the public complaint hides the number of prescriptions the companies distributed in Vermont as well as the market share they held. The state accuses Cardinal of shipping suspicious opioid orders to Vermont pharmacies without question and without reporting them to the federal Drug Enforcement Administration. The provided examples are redacted, though "Lamoille County" is visible in one. An Attorney General's Office spokesperson told Seven Days that the office plans to work with the defendants to remove the redactions. Drug distributors, which are highly regulated, possess extremely detailed information about where and when prescription opioids enter pharmacies. The DEA tracks the information, too, though most of it is hidden from public view, even as it forms the foundation for numerous state lawsuits against the distributors. An exception is in West Virginia, where a state judge in 2016 ordered public release of some of the DEA data. The Charleston Gazette-Mail then reported how McKesson at one point was shipping nearly 10,000 hydrocodone pills daily to a pharmacy in a West Virginia town of just 400 residents. Distributors knew about that sort of pill-pushing. But rather than use their information to prevent illegal diversion of opioids, they looked for ways to increase market share, Vermont claims. The distributors' marketing efforts "echoed and reinforced" the deceptive tactics used by drugmakers such as Purdue, the state said. Cardinal and McKesson did create internal systems for identifying suspicious orders, but Vermont said those systems were flawed by design and typically relied on salespeople to implement. By 2015, nearly 500,000 opioid prescriptions were filled in Vermont annually, according to the Vermont Department of Health, leading to widespread addiction and more than 100 annual opioid-related deaths. On Tuesday, Purdue Pharma reportedly reached a $270 million settlement with Oklahoma in a suit similar to Vermont's. The settlement enables Purdue to avoid a public trial and comes as the pharma giant mulls filing for bankruptcy. Donovan told reporters Tuesday it was premature to comment on the Oklahoma settlement. He declined to say whether his office would pursue settlement talks.